This oriental-inspired exfoliating paste with amber and myrrh transports to a warm, aromatic sensorial escape. Its melting texture leaves the skin beautifully soft. Shea butter - To moisturise, nourish and regenerate. Amber oil - Known for its de-stressing action. Date oily extract - Rich in fatty acids, known for its hydrating and soothing properties. 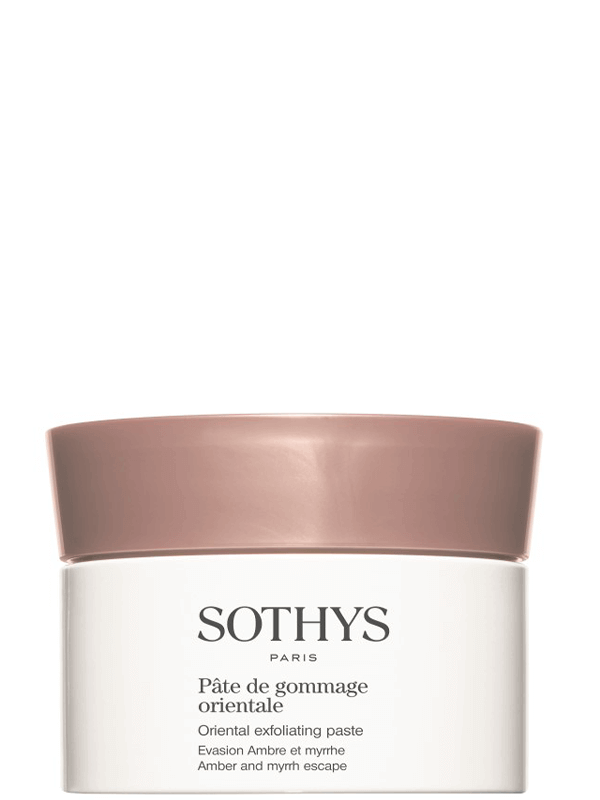 This oriental-inspired exfoliating paste with amber and myrrh transports you to a warm, aromatic sensorial escape. Containing exfoliating loofah and rice grains massage onto dampened skin (with or without the exfoliating stone) then rinse well. The skin is left silky soft and gently fragranced. Apply to wet skin using the dry spatula. Perform rotating movements, then rinse.